Where Massachusetts, New Hampshire and Connecticut avenues converge sits Dupont Circle — a traffic circle, a park, a historic district and a spectacular neighborhood that is one of DC’s most sought-after places to live. Due east of Dupont Circle resides Logan Circle, one of DC’s most vibrant, happening and desirable neighborhoods. 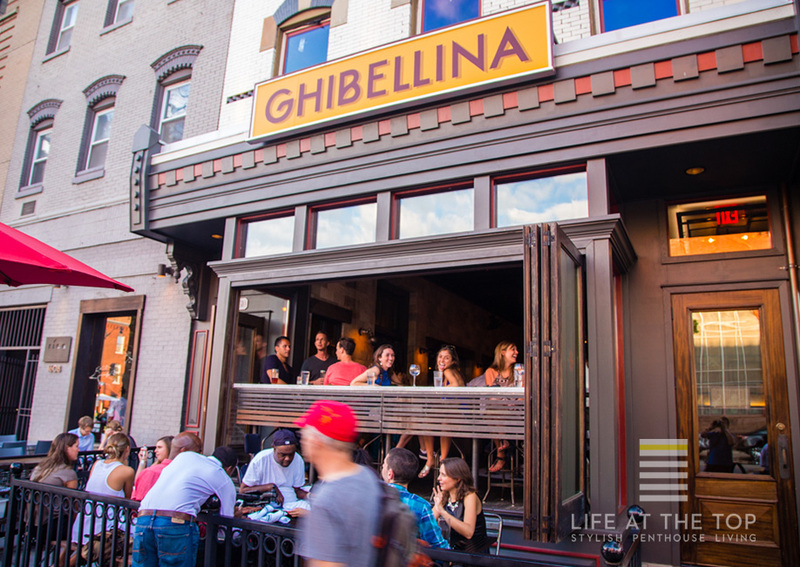 The redevelopment of Logan Circle has been a resounding success and the area continues to attract residents and retailers alike. The National Park Service maintains the circle itself after which the area is named; a park measuring 360 feet in diameter, furnished with wooden benches, decorative lampposts, mature trees and green lawns where residents come to relax, read and walk their dogs. During the Civil War, Logan Circle was home to Camp Barker; a former barracks converted into a refugee camp for newly freed slaves from nearby Virginia and Maryland. Today, Victorian row houses and repurposed loft spaces have been joined by new condominium properties. Among the notable addresses in Logan Circle, you’ll find Lofts 14, Rainbow Lofts, Q14, Matrix, The Cooper Lewis, Metropole, The Willison and the up and coming DC District Condos. The commercial corridors along 14th Street and P Street are now home to a dazzling variety of retailers, restaurants, art galleries, live theater, and nightlife venues. A Whole Foods Market two blocks from Logan Circle is now the chain's highest grossing location. Furniture retailer Mitchell Gold + Bob Williams also makes its home here, as does Room and Board, Lululemon, Vita Fitness, CVS pharmacy and Logan Hardware. Residents can choose from a host of dining options including Posto, Estadio, Logan Tavern, Rice, Commissary and Cork as well as the recently opened Estadio and the HomeMade Pizza Company. Soon to open is the Pearl Dive Oyster Palace adding to the “foodie destination” reputation of the area. Coffee houses abound as well including Caribou Coffee, the ubiquitous Starbucks and the local Mid City Café above the hard-to-resist trash to treasure shop Miss Pixie’s. Nearby Metro stops include the Red Line’s MacPherson Square and Dupont Circle stations along with the Green and Yellow Line’s U Street stop and Mount Vernon Square Station. Logan Circle brings together two historic districts, properties listed on the National Register of Historic Places, and sites designated D.C. Historic Landmarks in an area that is bordered by S Street to the north, 10th Street to the east, 16th Street to the west, and M Street to the south. Interested In Owning A Logan Circle Penthouse Or Luxury Condominium?